There are far too many dialects of English language. We even have an Indian one (Heard someone say, “I’m from here only”). The American and British are the two most popular accents spoken around the world. That is the reason why most competitive examinations you appear for, emphasize primarily on these two dialects. You study English as your second language, so it is easy to be frustrated with the subtle differences. You will discover, soon enough, that you can crack the code by choosing one of the two as your primary dialect. 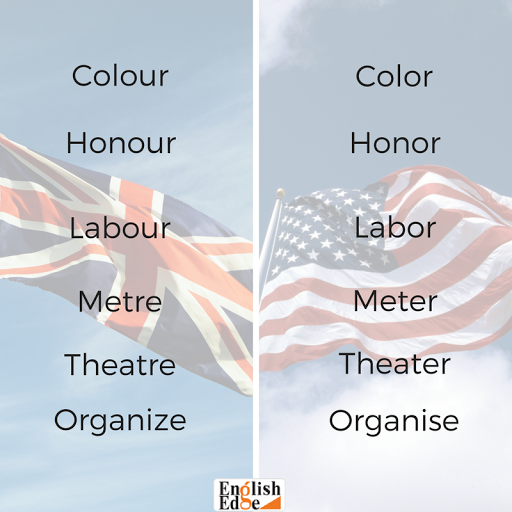 Subsequently, you can learn these differences to talk to both Americans, and Brits, with equal ease. It is even easier to consider the differences when you separate their varied usages. Here is an easy way to do that. Among all the differences between the two dialects, the difference in vocabulary is the easiest to pick. Both Americans and British have unique ways to refer to the same thing. The graphic below shows the different words that people in New York and London use to refer to the same thing. Americans tend to drop the U in words like colour and honour. Credits for these changes go to the American lexicographer, Noah Webster. Touted as the “Father of American Scholarship and Education”, you might remember him from the name of a dictionary that you are used to referring to. Yes, that is right, the Merriam-Webster Dictionary. 3. Do you end the word with -re or -er? Another subtle difference is the way you would spell words like theatre and metre. While the British prefer ending such words with -re, the Americans use the alternative. The American version is most common across dialects. You are better off with the American version, unless, of course, you are in London baby! 4. Did you realize (OR “realise”) the differences, already? All words ending with the suffixes -ise, or -ize, is yet another group of words that is definitely spelt differently in the two dialects. Even when you are using the same words in both the dialects, and with the same spelling, there is still a difference in the way you pronounce those words. Vase is pronounced as Vars, like cars, in British English. However, Americans call it vace, like face. British call Route as root, like shoot, but Americans say it rout, as in shout. British put the ar, in tomato, saying it tomarto, while the Americans find it convenient to say tomayto. This section covers most of the differences between the two dialects. You might as well find them the most difficult ones too. A collective noun is one that is used to refer to a group. For example, team, flock, group, band. 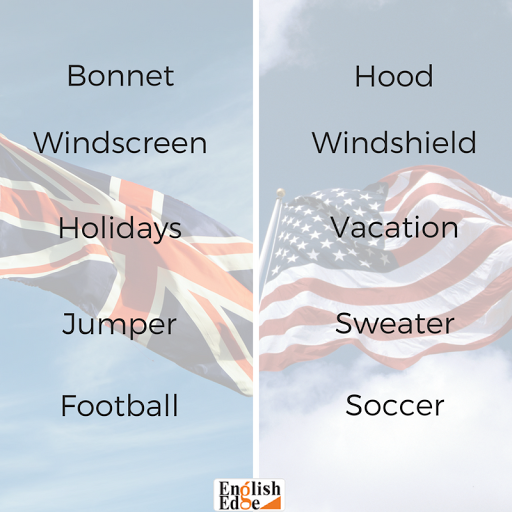 While these nouns are singular in America, British might use them in the singular as well as plural forms interchangeably. Do not be surprised in a London club when you hear “The team are playing tonight” and “The team is playing tonight” within a few minutes. These verbs are used to help the main verb in a sentence. But the help is rather subjective. British are more likely to extend the help, that is, use an auxiliary verb in a sentence than their American counterparts. For people in New York, the group of words are archaic or too formal. Your friend from London may say, “I shall go home now”, but a person in New York will be more assertive saying, “I will go home now”. If you were to mention it to your friends on either side of the Atlantic Ocean, that you spent time learning these differences, you will have to use different words. This is how you should say it. 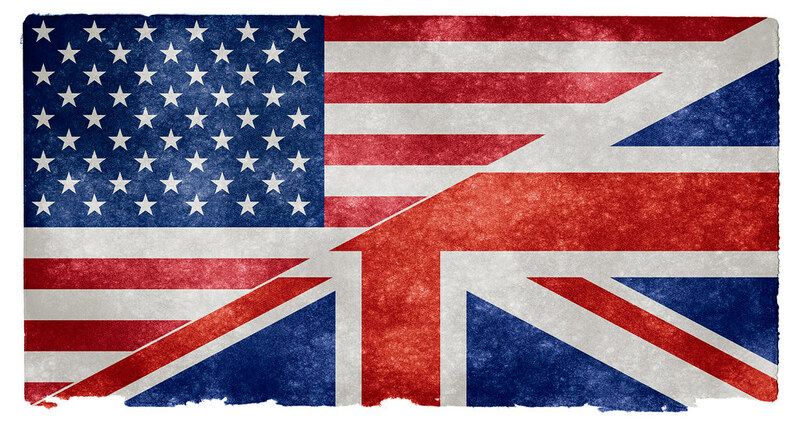 To your friend to the east of Atlantic, in London, mention that you “learnt” the differences between American and British English. For your friend on the other side, however, you are better off saying that you “learned” the differences. You are mistaken if you think we are done. I will not keep you long; there are just a couple that remain. First one among them, are the question tags. This is a question tag, “The differences among the British and American English are subtle, yet important, aren’t they?” They are not used as often in America, as they are in Britain. 10. How do you explain something that recently occurred? Americans and British explain it differently. 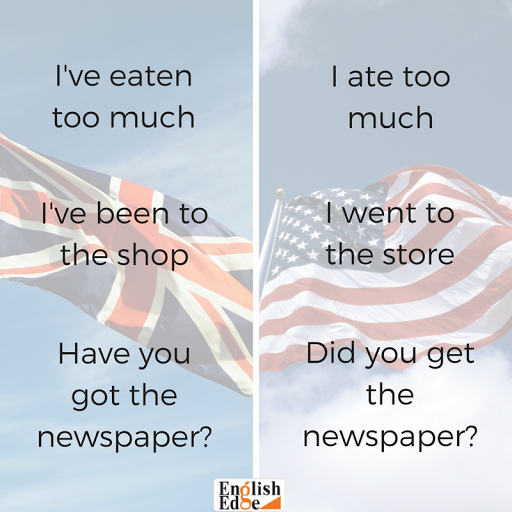 While the Americans prefer to use simple past tense to explain the phenomenon, British prefer the present perfect. This image will top it up for you. Which ones did you find most difficult for your appetite? Do please share your thoughts in comments.